When was the last time you attended a high school sports game at your alma mater? If it has been a while, you may be pleasantly surprised to see folks you know in the stands and names you recognize on the court or field. Those athletes with familiar names are likely the children or grand children of the people you went to high school with, and your bleacher mates are likely either your classmates or their offspring. If you live in Region One here in Northwestern Connecticut, you have another good reason to catch a game. 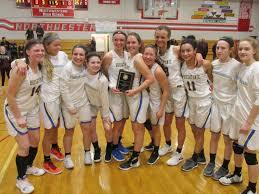 Tonight at Housatonic Valley Regional High School (Housy) the girls varsity basketball team begins its class S state tournament run against Ellis Tech. The girls have had a season for the ages- they won the Berkshire League title as well as the BL tournament, ending their season 22-1, undefeated in league play. The last time that happened, the seniors on this team weren’t even born yet. Housy is among the smallest of the small schools in the BL yet they knocked off Northwestern and Lewis Mills- both Class M schools. 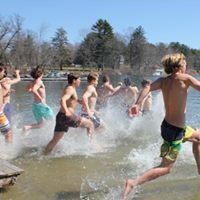 Cheering crowds mean a lot to these kids, so why not take a ride over to HVRHS this evening and support them on their quest for a state title. Their enthusiasm is contagious. Game time is 6:00 pm.